The Maryland Department of Natural Resources has received laboratory confirmation that five white-tailed deer harvested in Allegany County tested positive for chronic wasting disease, a neurological disease in deer, bringing the total overall cases to 11. Four of the five deer were harvested in the Chronic Wasting Disease Management Area (the eastern one-third of the county). The other deer was taken near Cumberland, marking the first documented case outside of the Chronic Wasting Disease Management Area. Concerns over the disease should not stop anyone from hunting deer or enjoying venison. There is no evidence that the disease can be transmitted to humans, livestock or other animals. It is recommended that hunters avoid consuming the meat of sick animals as well as the brain, spinal column or lymph nodes of deer — all of which are normally removed during the butchering process. Maryland is one of more than 23 states and Canadian provinces with chronic wasting disease documented in deer, elk or moose. The department has intensively sampled for this disease since 2002, before it was initially found in the in West Virginia in 2005. The first confirmed case in Maryland was reported in February 2011. 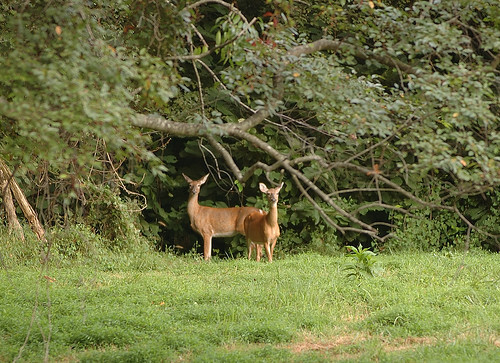 To date, 11 samples tested positive out of more than 8,500 deer tested in Maryland. Since 2010, sampling efforts have been focused on Allegany and western Washington counties due to the presence of the disease in nearby West Virginia, Virginia, Pennsylvania and Ohio. More information on chronic wasting disease, please click here. Anyone with questions may contact the department at 410-260-8540.